We guarantee your Soul Worker Dzenai will be sent to you within 5-10 minutes. If there is a delay of your order and it's truly caused by us, we'd like to make a compensation to you. Ultrafast Delivery: We have a large stock of Soul Worker Dzenai for ultrafast delivery and we will try our best to complete your Soul Worker Gold orders as fast as possible after we have received and verified your payment. Mmorpgpowerlevel will never let you down by providing outstanding customer services. Cheap Prices: We adjust Soul Worker Dzenai prices in real time according to the market. You can Buy Cheap Soul Worker Dzenai at Mmorpgpowerlevel with the most reasonable prices. At the same time, you can get Mmorpgpowerlevel Top Coupons and can get large order discount in the meantime. We have not only cheap prices, but we also have top quality services. Professional Services: Mmorpgpowerlevel is a legitimate and trustworthy Soul Worker Gold store with a great reputation in the market. We commit to outstanding customer services to make each customer satisfied. You can check Mmorpgpowerlevel Reviews on Trustpilot, Ownedcore, Epicnpc, MmoBux and so on to know more about Mmorpgpowerlevel. 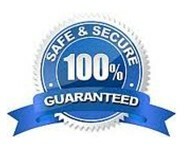 Refund Guarantee: We promise Refund before delivery and you do not need to worry about it. If occasionally we do not have enough Soul Worker Dzenai in stock for your realm and you do not like to wait, We will deal with your refund without any delay. If you have any questions or special requirements when buying Soul Worker Gold, Please contact our 24/7 online Live Chat to get help. We are here waiting for you.